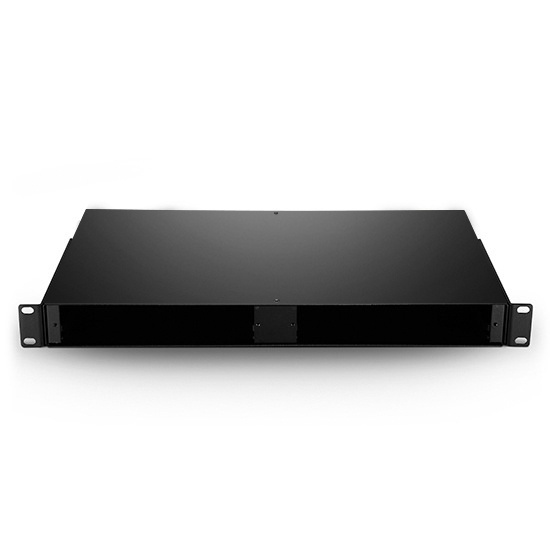 2-slot 1U 19” rack chassis innovatively provides two slots in one 1U rack chassis to provide easy-to-manage environment for CWDM DWDM OADM plug-in modules. Robust 1.2mm SPCC construction for extra strength. 0.15mm black powder coat finish for corrosion-resistant. Chassis has a good design, providing a good way for network management. Very good design, this chassis suits to provide easy-to-manage environment for our WDM OADM plug-in-modules. The details are shown on the website, which help me choose what I need easily. So friendly website, high quality products. Will definitely let my friends know this trusted seller. Have recommend this products to friends. Great price and productd, have recommended your company to others. Didn't mean to buy the chasis, but we need some CWDM Mux/Demux, it happen to suits them well. In order to save installation time, we also choose this chasis, the construction is good. So easy to order from site and had all the items I needed. Simply said, you guys made for a great experience. Cheerful intereactions, fast responses, efficient work. Very professional, knowledgeable, helpful, excellent chassis and support. Great experience! Very Very good service. Ordered product and received before the date that was given. Rack Chassis received in perfect condition. We are a very satisfied customer!! The rack chassis arrived quickly. I installed it easily. Now I am writing a review. I was satisfied with this purchase. I bought this 2-slot rack chassis as well as two 8ch plug-in CWDM modules instead of a fixed 16 ch mux after communicating my network plan with my sale rep. It took almost a week for oversea delivery. But the thing to be happy about is that I received them in good shape. It is easy to installed and the adapters mounted on them are also good, not too tight or loose. To connect my existing LC patch cords to them, all seem to be perfect. Overall, I was satisfied with this purchase. I reordered some empty rack mount cassettes. They came quickly. All packaged well. Order was received extremely fast with excellent communication. They are now my go to supplier! Best price! Super fast delivery. Amazing! Not only did they beat the price of everyone else, but they also had super fast delivery and top notch products. I will definitely use them again in the future.